The work of M.C. Escher needs no introduction. We have all learned to appreciate the impossibilities that this master of illusion's artwork presents to the layman's eye. Nevertheless, it may come as a surprise for some, but many of the so-called 'impossible' drawings of M. C. Escher can be realized as actual physical objects. 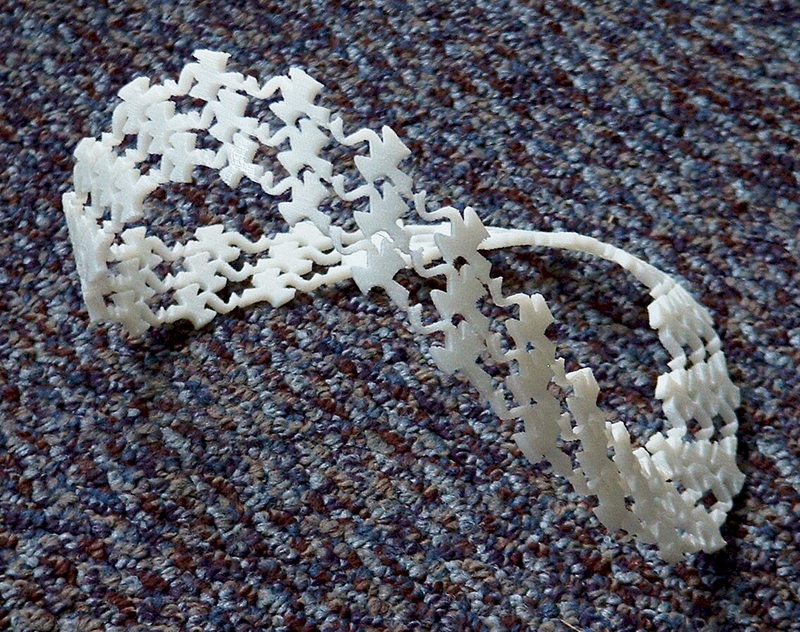 These objects will resemble the Escher's drawing, of the same name, from a certain viewing direction. This work below presents some of these three-dimensional models that were designed and built using geometric modeling and computer graphics tools. You are also invited to watch our movie: "Escher for Real" and "Impossibly Real". In the following sequences, figures are frequently presented in pairs. One figure in each pair is the front view-Escher's drawing's direction, whereas the other figure gives a general view. Whenever a real, tangible, model has been created, it will be presented as a second pair, next to the computer rendered images. The objects were physically realized with the aid of layered manufacturing systems: a Z402 3D Printer from Zcorporation and a Stratasys FDM3000 printing machine. Click on any image or movie below to get the full size version of these images or run the movies. 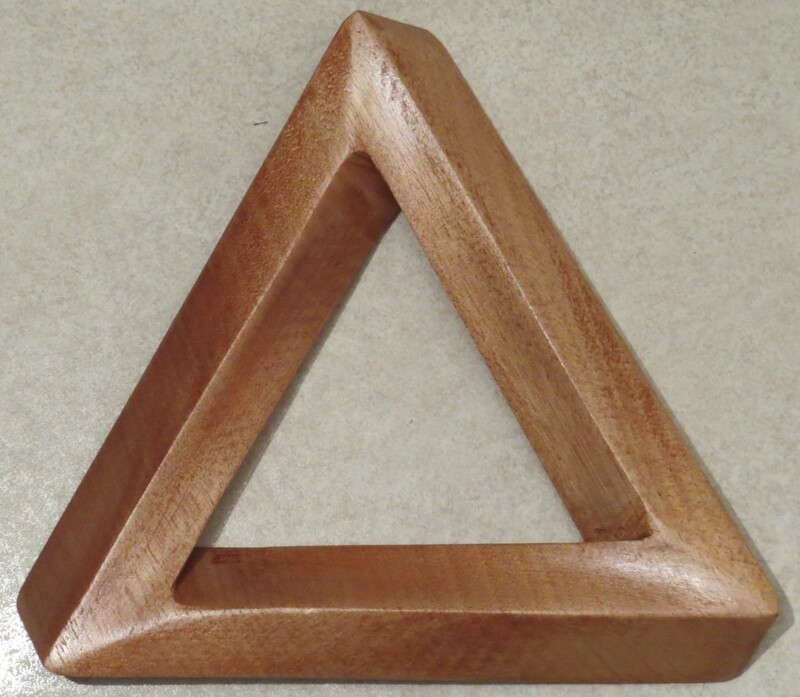 We start with the Penrose triangle object (also independently invented by Oscar Reutersvard). There are several ways to build a real geometry that will look like the Penrose triangle from a certain viewing direction. This specific shape is reconstructed as a C^0 continuous sweep surface with a square cross section that rotates as we move along the edges. 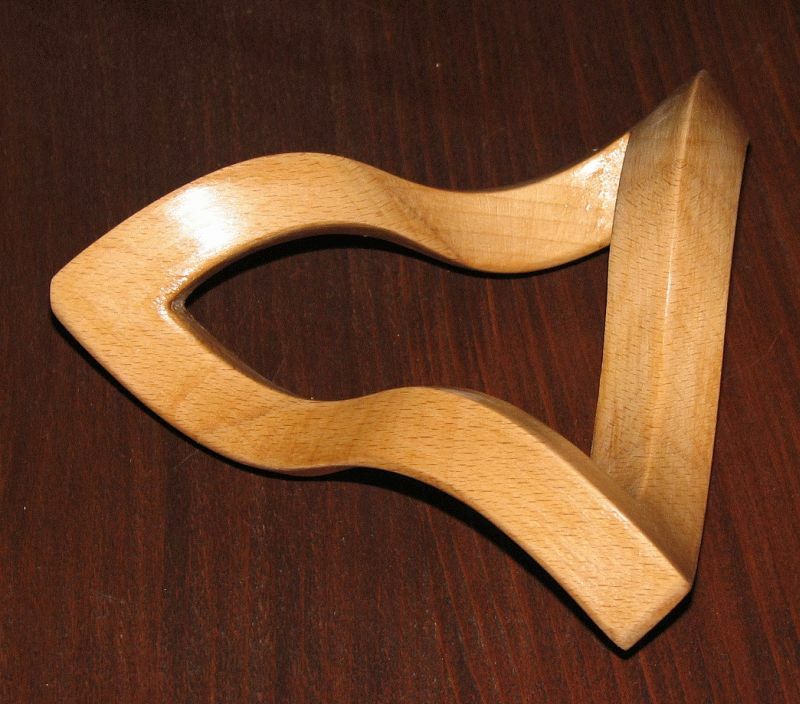 As will be shown below, the Penrose triangle plays a majosr role in M.C. Escher's drawings. An STL geometry file, for those of you with layered manufacturing devices, of this model, is available here . 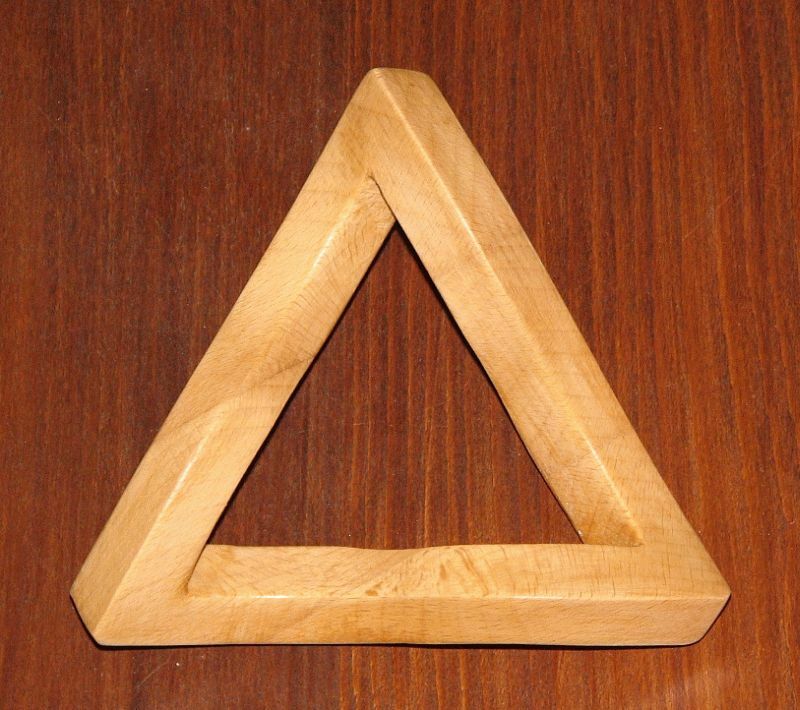 The impossible shape conveyed by the Penrose triangle is the most well-known one. However, one can, with similar ease and with the aid of a geometric modeling system, construct more complex natural extensions to the Penrose triangle. Herein a Penrose rectangle is presented. An STL geometry file, for those of you with layered manufacturing devices, of this model, is available here . Similarly and following the construction of a Penrose triangle and Penrose rectangle, one can easily create an arbitrary Penrose n-gon. Here, we will stop at a Penrose pentagon. Here we present another way to simulate and realize geometry that looks like the Penrose triangle from a certain view. Here is an avi movie that shows this model rotated. An STL geometry file, for those of you with layered manufacturing devices, of this model, is available here . 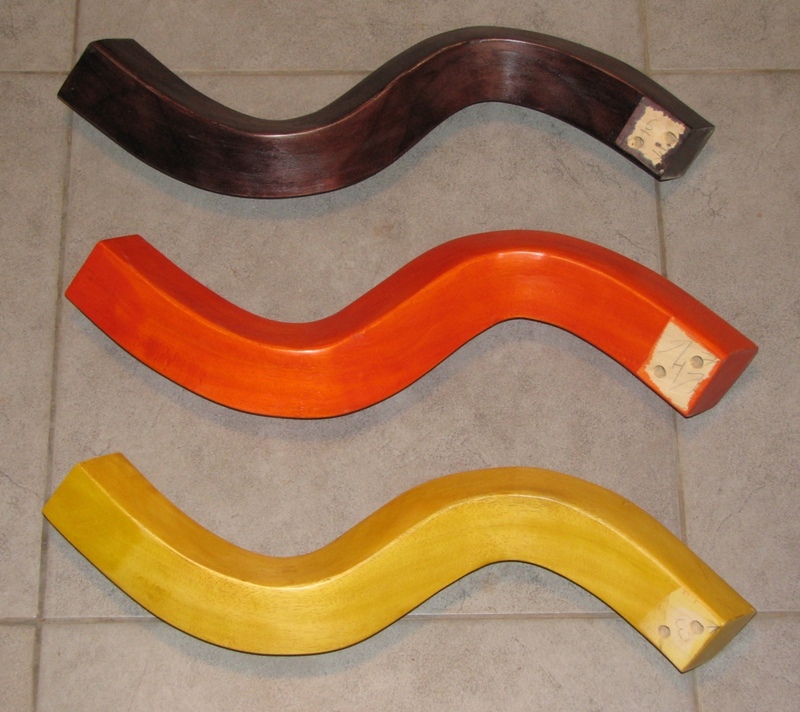 And here are two wooden variations. 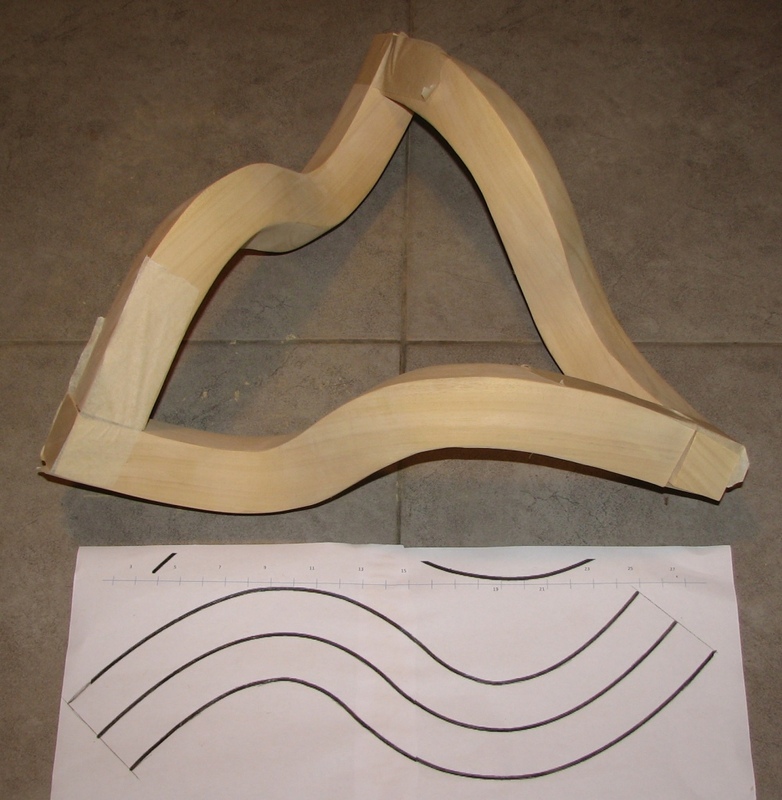 See also my wood working page. 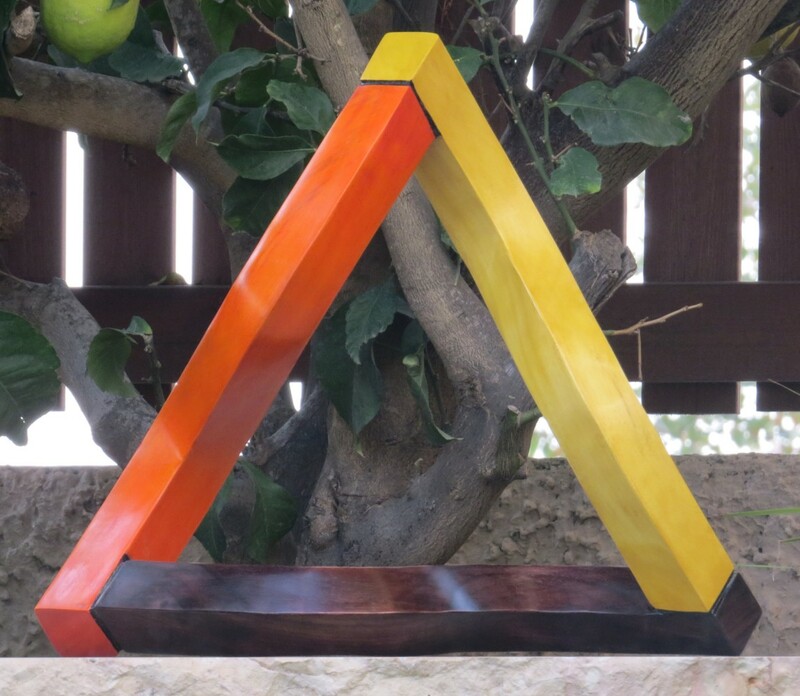 This Penrose triangle model is about 60 cm on the side and is made of three different wooden parts. 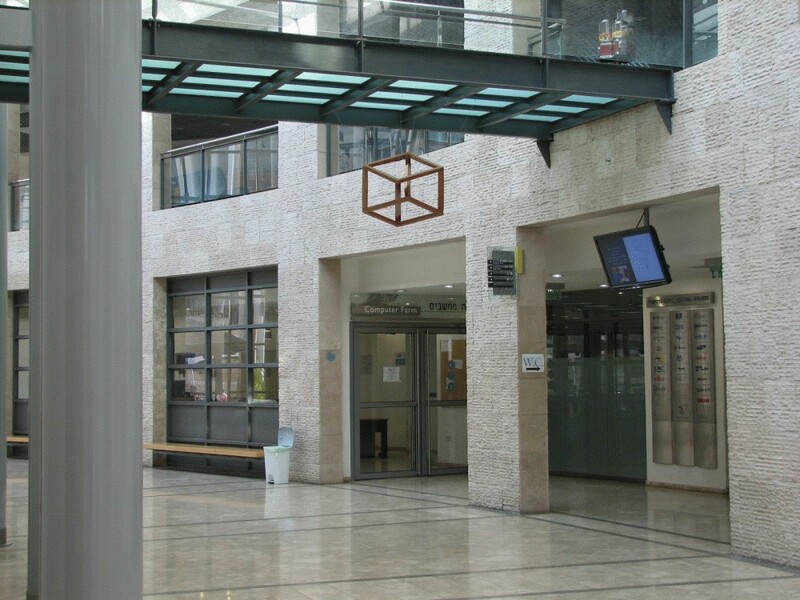 This specific model can be found at the lobby of the CS department, Technion. 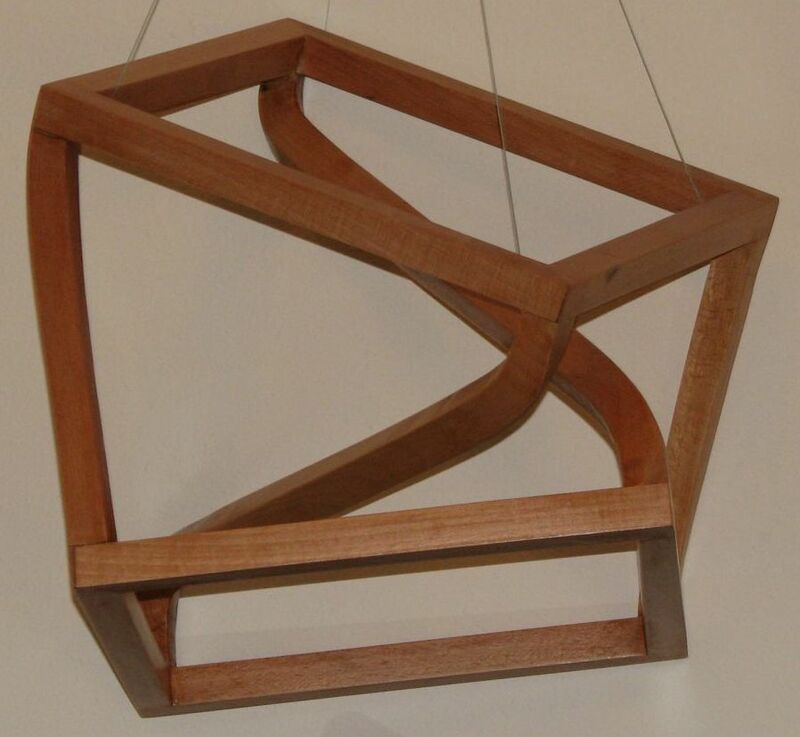 Here is our realizable variant of Escher's/Necker's Cube. 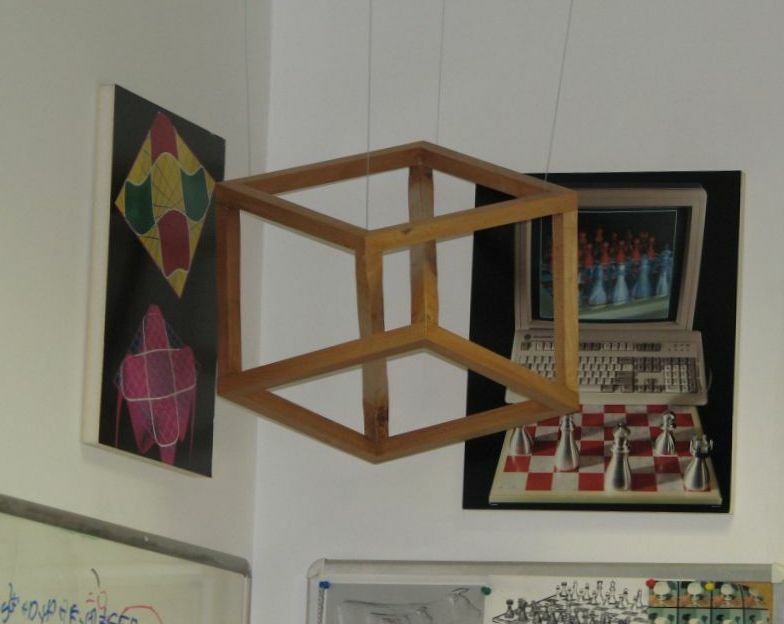 If you will look carefully enough, you will find this cube in Escher's original Belvedere drawing. And here is an avi movie that shows this model rotated. 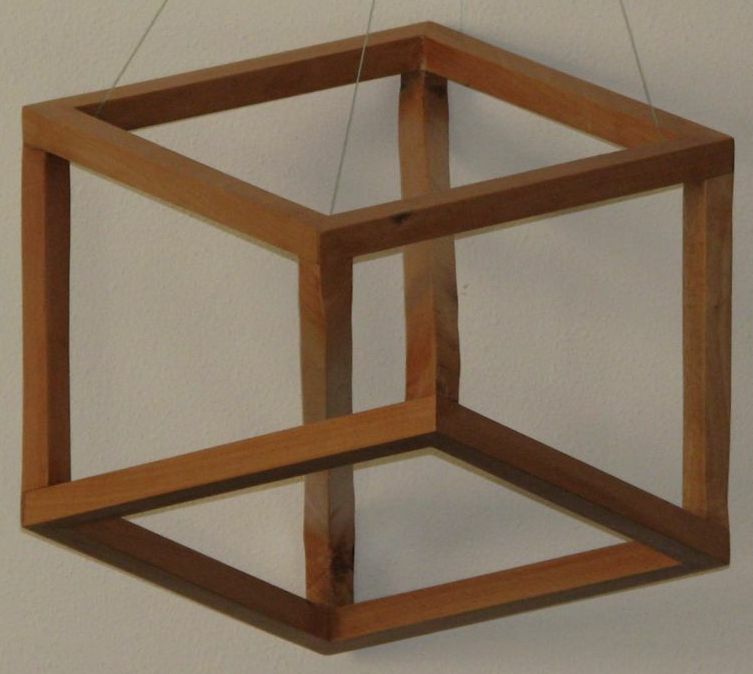 This is a result of my woodworking hobby, making a version of this cube from wood. The plans I used to make this wood cube could be found here. The images on the right are from my office and our CS lobby - you are welcome to drop by and see this! 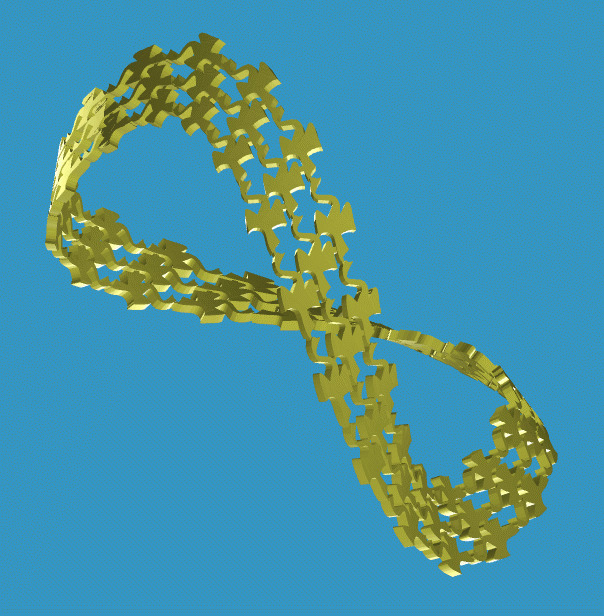 Here is a variant of the Moebius Strip formed out of Escher's duck tiling. 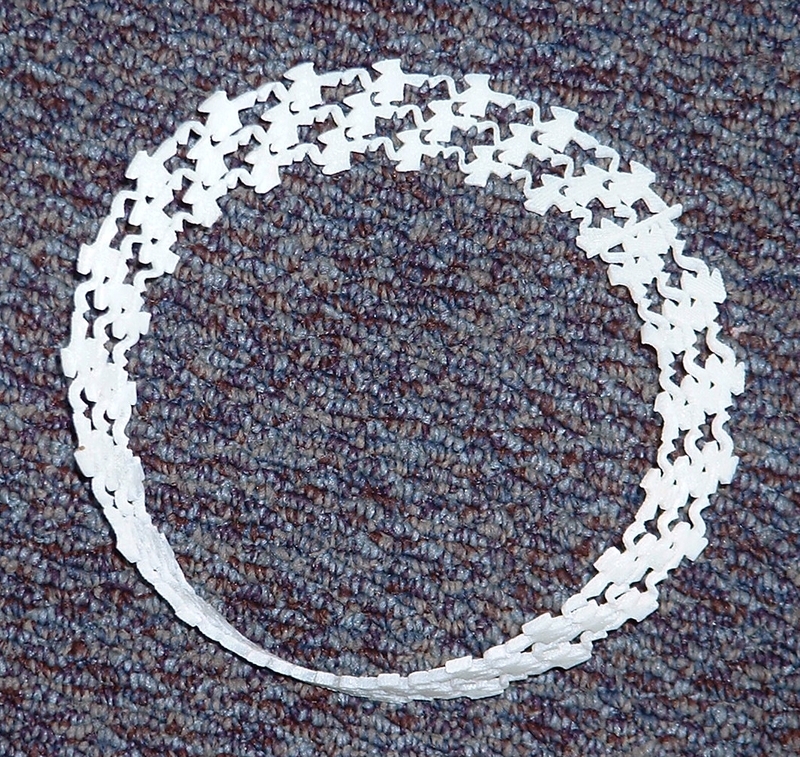 Here is a variant of the Moebius Strip formed out of Escher's ants walking forever and covering both sides of the ring. Click on this small movie on the right to see the real large version. Here is our physical realization of Escher's Waterfall. You can also watch this object rotating in space in this avi movie. 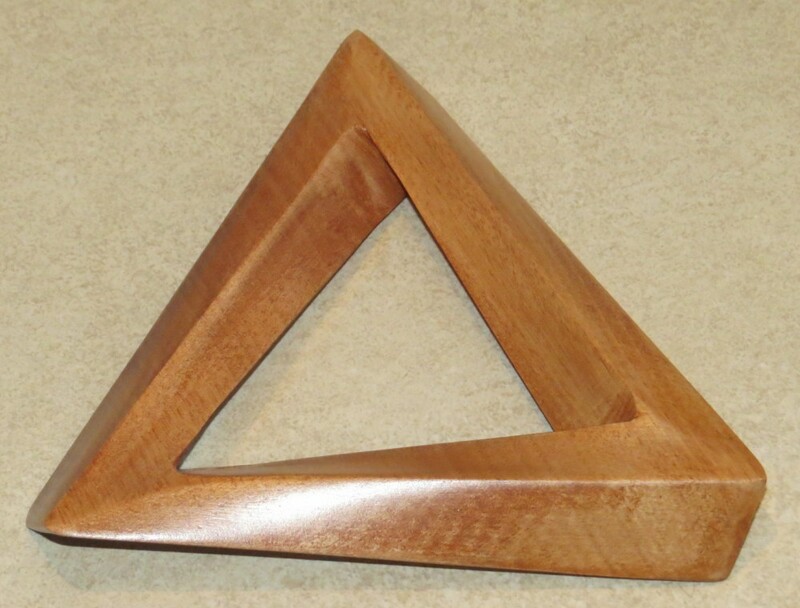 This realization stems from using three joint Penrose triangles along the water stream. Note also the way the house is warped so as to look natural from this viewing direction (only). To better understand this, examine the pictures on the right. The rightmost image shows the Penrose triangle only, from above; the leftmost image shows the original Waterfall scene; and the middle image is a blend of the two. In fact, the original Waterfall model presents three different and connected such triangles. Also interesting in this image is the house. When we examine the original Waterfall drawing, we see that the house ends up behind the middle corner of the water path. In order to accomplish this in our constructed image, the house's geometry is warped so as to look straight only from the proper viewing direction. The house, as well as the S shaped rods that look vertical from the original viewing direction, were modeled as generalized sweeps by the geometric modeler. 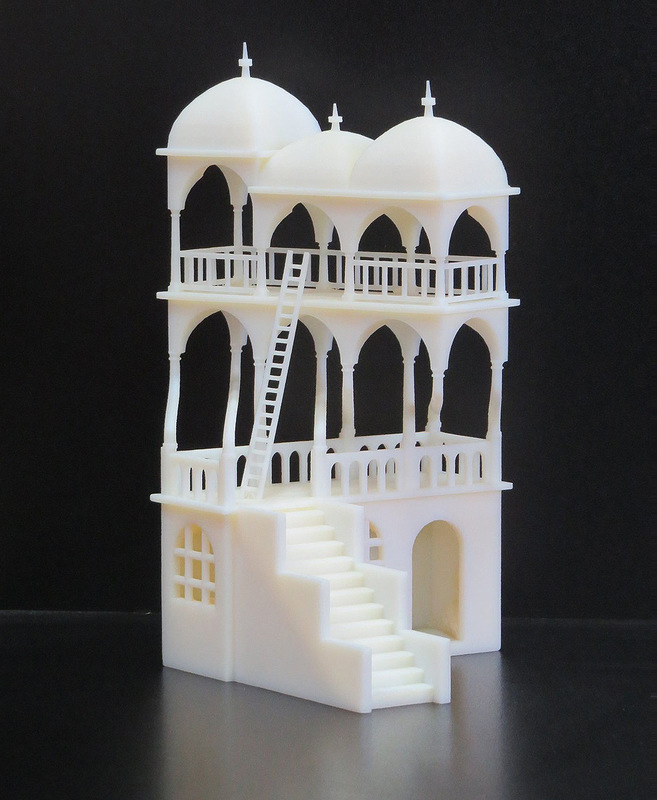 Here is our physical realization of Escher's Belvedere drawing. Again, this model looks like the original Escher drawing from one direction only, whereas the (not so) vertical poles stretch from the far top to the near bottom sides and vice-versa. This trick is somewhat similar to the trick we used in the Penrose triangle but is somewhat simpler. 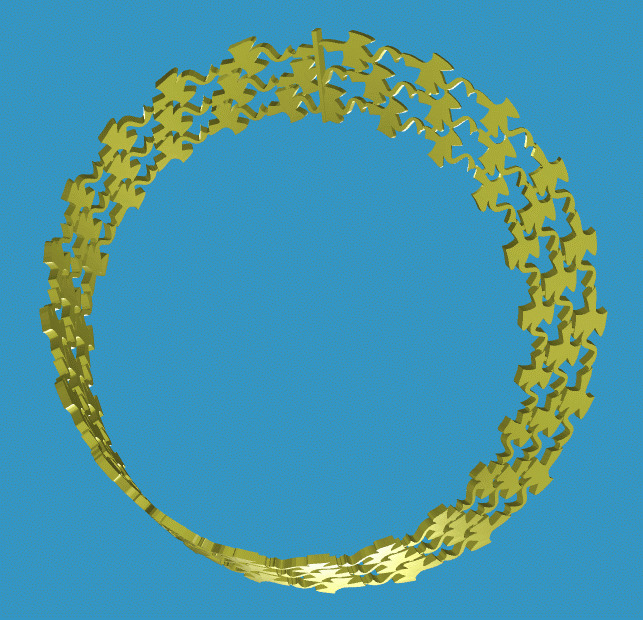 You can also watch this object rotating in space in this avi movie. Here is our physical realization of Escher's Relativity drawing that was modeled with the aid of Oded Fuhrmann, Technion. This model is different compared to many of the above in the sense that it is a regular model (with stair cases all over the place :-). 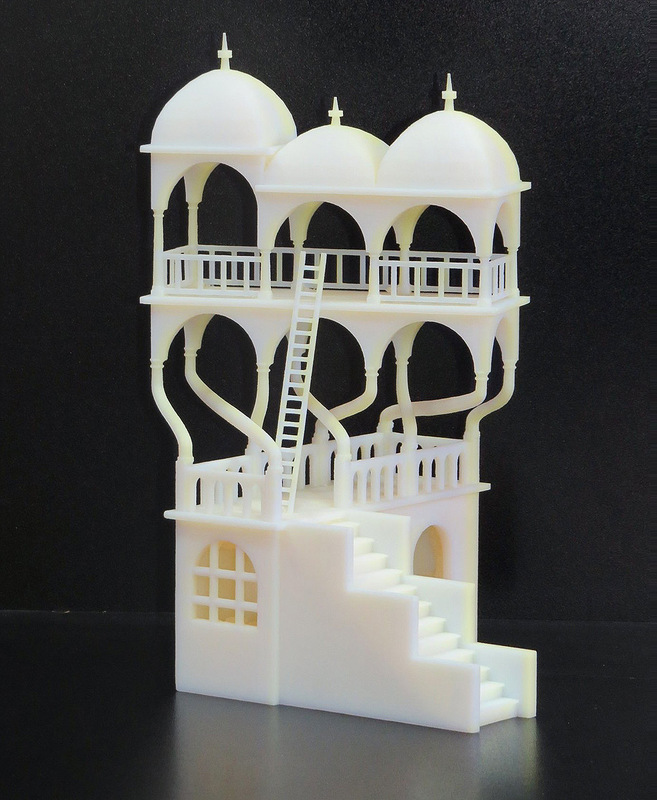 We need no special view direction, for this model to look like the original Escher drawing. The STL file of this model is here . I would like to acknowledge Ronit Schneor, ME, Technion and Sam Drake, CS/ME, University of Utah for their help in the making of these objects. I am also grateful to Zvika Grinberg, Caliber, ZCorp Israeli rep., for his aid in making the colored models. This page is © Copyrighted to Gershon Elber, 2002-2019. Permission to copy in parts or as a whole the content of this page must be given by Gershon Elber prior to any such use. All M.C. Escher works © the M.C. Escher Company B.V. - Baarn - the Netherlands. Used by permission. All rights reserved.